If you're willing to roll up your sleeves for an epic week-long DIY, you could bag the floor of your dreams (quite literally) for cheap. Here, find out if it's worth the work—and how to get started. Is your old flooring carpeted in style— or in dirt, grime, and other relics of time? Modernize it by ripping out any fraying, outdated carpet pile and replacing it with humble craft paper! This fascinating flooring project has swept the blogging world off of its feet with its rich color and marble-textured results—and its cheap, cheap price tag of only $100 materials to outfit a single space and then some. But be warned: Without proper planning and execution, your paper bag floor experiment can stray far from expectation. There’s no cutting corners on this week-long, hands-on project. 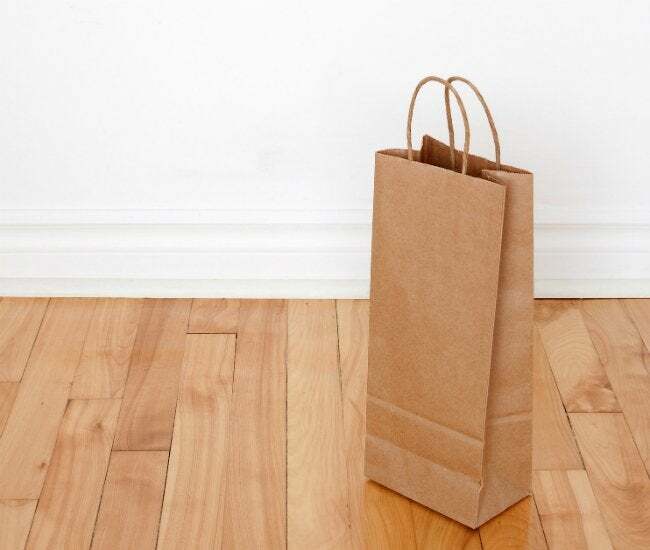 From planning and prep to finishing touches, here’s the full scoop on how to achieve lustrous, long-lasting paper bag flooring. The key to success with a paper bag floor is to start with the right subfloor. Brown craft paper adheres best to—and lasts longest on—a plywood subfloor. (Homeowners with cement or vinyl floors may want to reconsider.) 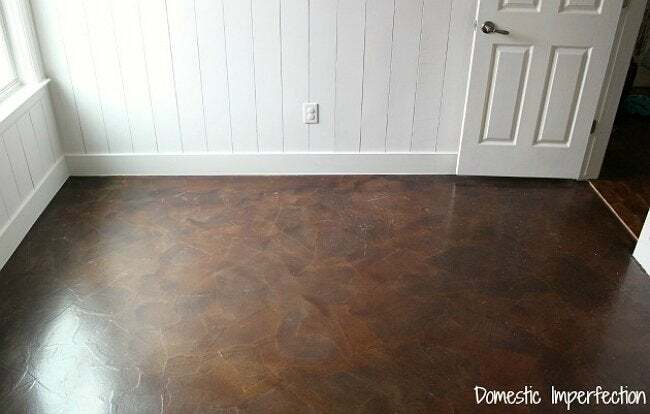 While good for dressing up most areas of the home, you may be better off skipping this sort of finish in areas with excess moisture like the bathroom, at least for your first flooring project. Before making waves in your repurposing project, practice your paper application technique. A test run can save the time (and the headache) of later discovering faulty paper adhesion, uneven staining, or foggy polyurethane. Using scrap wood, your paper bag supply, stain, and polyurethane, run through the flooring technique described in the next section. After the floor is prepped, tear and crumple 6- to 8-inch paper wads from a roll of brown craft paper (the material used in brown paper lunch bags). Avoid overly small pieces that can create a chintzy, pebbled appearance rather than an elegant, faux-marble look. Pull on a pair of gloves and prepare a batch of glue mixture: three parts water to one part white school glue in a bucket. Dip a paintbrush into the glue mixture, and brush it over a small area of the floor at a time. Then grab five paper wads to work with at a time, dipping each into the glue mixture and squeezing out the excess. As when you paint a floor, start in the corner opposite and across the way from your exit to avoid papering yourself into a corner. Flatten and adhere each paper wad to the floor, overlapping the pieces a few inches for an organic look. Use your paintbrush to smooth wrinkles. Repeat this process until the floor is covered in paper, and dry the floor overnight. The next day, you can repair any raised edges using a paintbrush and the glue mixture. A glued-down paper bag floor looks much like you’d imagine—like lunch bags torn and scattered across the floor. The real faux-marbling magic happens when you bring in a rich color and glossy finish. Before you unleash the fumes from your cans of stain and polyurethane, best to open any windows in the space for a little extra ventilation. First, fill a paint tray with the oil-based stain of your choice to get to work. Tackle the edge nearest the trim and baseboard first, “cutting in” using a chip brush. To stain the rest of the floor without streaks, set aside the brush for a lambswool floor applicator pad. Best are those attached to a mop block at the end of a universal extension pole. Dip the pad into the stain, blot out the excess, and apply the stain in large, sweeping strokes. Then let the stain dry completely at a moderate temperature for at least 48 hours. After drying the stain, you’ll seal with several coats of a water-based, floor-grade polyurethane. Pour the product into a paint tray and affix foam floor applicator pad (better for water-based finishes) to your extension pole. Dip the foam pad into the polyurethane, blot out the excess, and apply it with similar motions. After drying, apply as many additional coats as recommended by your brand of polyurethane. 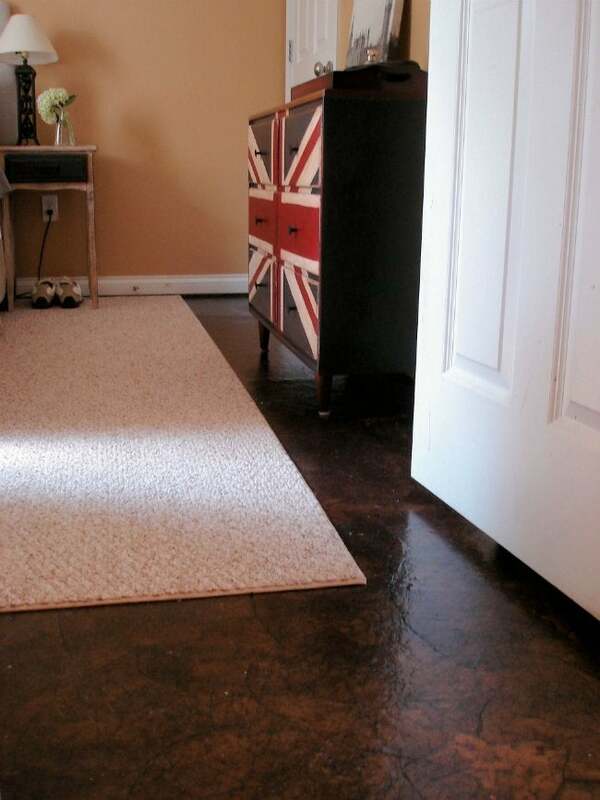 To give your paper bag floor a show-room ready look, sand the surface after the first and before the last coat. Hardy paper bag flooring holds up fairly well to normal amounts of foot traffic. Adventurous DIYers like Rachael of The Lovely Crafty Home and Ashley of Domestic Imperfection both share impressive success, proving that this flooring feat lasts anywhere from a few to several years if proper application and maintenance are followed. Dirt can fade and degrade it, making regular cleaning vital. • Vacuum or mop your floor at least once a week. A homemade cleaner like a 50-50 solution of vinegar and water will banish grime. • Safeguard the floor from dings by affixing felt feet onto the legs of all your furniture. Alternatively, experiment with laying down rugs or mats strategically to protect your floors from scratches. By protecting your new floor from everyday wear and tear, you can extend its lifespan and enjoy it for years to come!